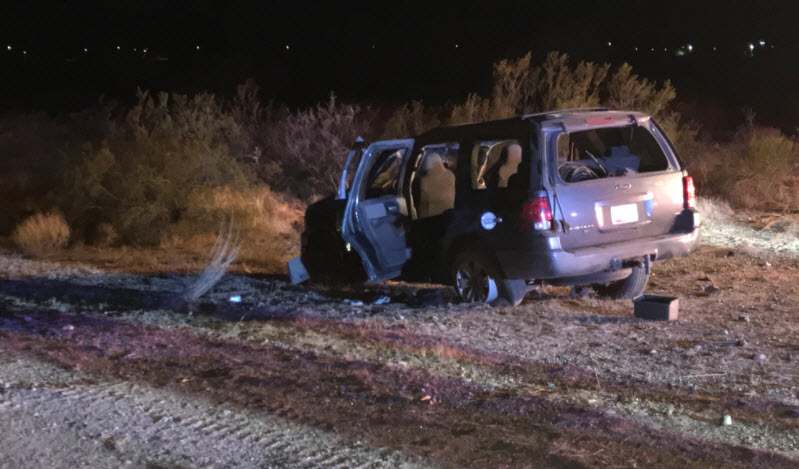 Phoenix, Arizona—An SUV filled with trick-or-treaters dressed in Halloween costumes overturned Tuesday night near Dixileta Drive and North Valley Parkway. One of the passengers, a 7-year-old girl, was seriously injured when she was ejected as the vehicle rolled. She was air evac'd to Phoenix Children's Hospital. Five other people were transported to area hospitals in stable condition. The Phoenix Fire Department treated ten people at the scene. The 34-year-old man driving the SUV reportedly told emergency responders that they were on their way to a neighborhood to trick-or-treat when the accident occurred. Accident investigators have not released the identities of those involved, as the investigation continues. We wish speedy recoveries for all those who were injured in the accident.